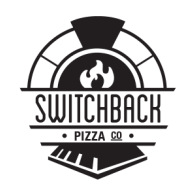 Switchback Pizza Company believes in supporting our local farmers, economy and community by sourcing as many of our ingredients as possible from Pennsylvania. The bounty of local produce inspires our weekly market pizza specials, helping us to create genuinely unique pizzas just for you. We source naturally raised hormone and antibiotic free meats and hormone free cheeses as much as possible. During the height of the summer season over 75% of our ingredients (not including flour) are from local farms. We use King Arthur's Organic and Artisan flour from Vermont. Valuable experience as interns in both Italy and New Zealand on dairy farms taught Drew and Marguerite how to make cheese. At various times throughout the season, you can find some of our homemade cheeses made using local milk highlighted on our pizzas. Beyond organic beef, pork, chicken. We love their sausages and bacon!